As a strategic planning assumption, Gartner believes Integration Platform as a Service will soon be the largest application integration middleware segment. The researcher even warns of the potential for it to “consume” the traditional software delivery model. As a result, the large legacy data integration vendors are now offering iPaaS tools as additions to their product portfolios. With this comes market consolidation, and Gartner notes it. We also expect that to continue in the months ahead. In this Magic Quadrant, Gartner evaluates the strengths and weaknesses of 17 providers that it considers most significant in the marketplace, and provides readers with a graph (the Magic Quadrant) plotting the vendors based on their ability to execute and their completeness of vision. The graph is divided into four quadrants: niche players, challengers, visionaries, and leaders. At Solutions Review, we read the report, available here, and pulled out the key takeaways. This Magic Quadrant features considerable changeover, as providers we once considered regulars to the report are nowhere to be found. Actian, Attunity, Fujitsu, Terrasky, and Youredi no longer meet Gartner’s inclusion criteria and thus have been removed. The two new vendors, Cloud Elements and Workato, make their debuts on opposite ends of the graph. As we forecasted earlier this week, Informatica and Dell Boomi continue to dominate the enterprise iPaaS landscape. Informatica leapfrogged Dell Boomi for market supremacy last year, and seems to be a favorite of the analysts. Perhaps its offerings check all the boxes in Gartner’s proprietary research. Dell’s iPaaS product comes from its acquisition of Boomi in 2010. Its AtomSphere iPaaS and its MDM and API management solutions are built atop a common platform, with AtomSphere available in several different editions. Workato makes its first appearance in impressive fashion, trailing the market’s only two mega-vendors. The provider’s iPaaS tool is available in five iterations based on the number of consumable resources and levels of support. Workato was one of the first providers to offer AI capabilities, and Gartner’s reference customers rated the tool quite well. Workato currently connects to more than 300 enterprise applications, with new ones being added frequently. The lower-third of the leaders column features a cluster of four providers. The group is led by Jitterbit, but also features SnapLogic, Oracle, and Microsoft. Jitterbit received one of the highest scores for customer satisfaction from its reference customers. The Alameda, California-based provider raised $25 million in venture capital back in November. Though SnapLogic didn’t make quite the jump we expected, its strong performance helped drive the highest number of integration flows of any vendor in the report. 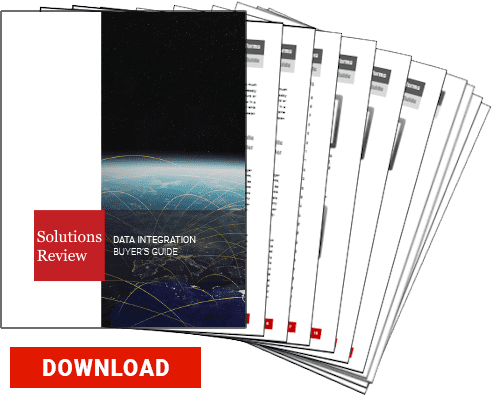 This year’s report features three market challengers, two of which were just recently named to Solutions Review’s 5 Integration Platform as a Service Vendors to Watch in 2018 list. Both Built.io and Scribe Software have made the leap up from being niche players last year to join Adaptris in this column. Built.io customers rate it generously for evaluation and contracting and delivery and execution. Scribe Software recently unveiled a new connector development program in the hopes of adding a crowd-sourced element to iPaaS. Scribe’s customer reference scores put it in the top five for included vendors.